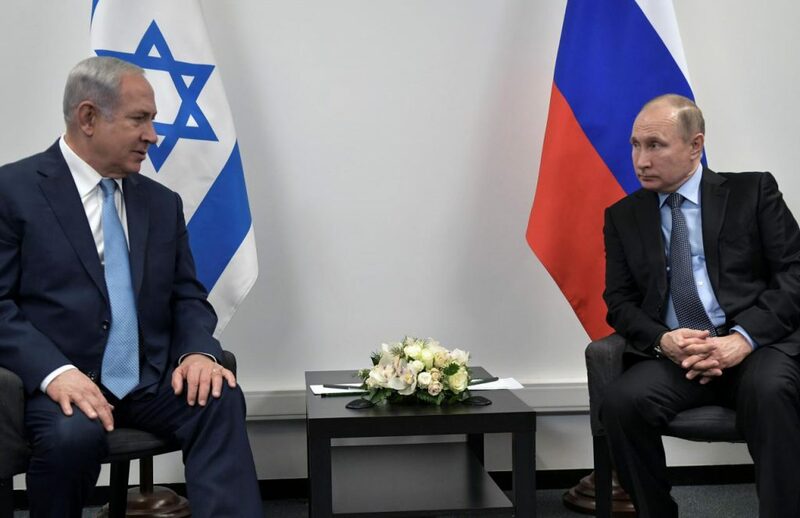 Israeli PM Benjamin Netanyahu will sit down with Vladimir Putin in Moscow today, where the conflict in southern Syria is likely to dominate discussions. Bashar al-Assad’s forces have moved towards the outskirts of the Golan Heights—a territory that was seized from Syria by Israel after the Six Day War in 1967. An important vantage point for Israelis to observe Syrian movement, a small strip of the territory was subsequently reclaimed by Syria in the Arab-Israeli war of 1973. While Israel has tacitly accepted the return of the Assad regime to this strip, PM Netanyahu insists his country will maintain control over the majority of the Golan Heights as it has done for decades. A repeated attack last Sunday on an air base near Homs that has been attributed to Israel and killed Iranians and pro-regime fighters suggests that Israel has no intention of letting pro-Iranian forces, particularly Hezbollah, take any foothold of the region. Israel may well feel threatened by any Iranian-linked elements amassing near the Golan Heights and will likely continue to conduct surgical strikes to counteract. Expect Mr Netanyahu to push Mr Putin to commit to keeping Iranians at least 80 kilometres from the border as has been hinted, especially as dealing with Tehran is becoming less of a stake in Mr Putin and Mr Assad’s relationship.